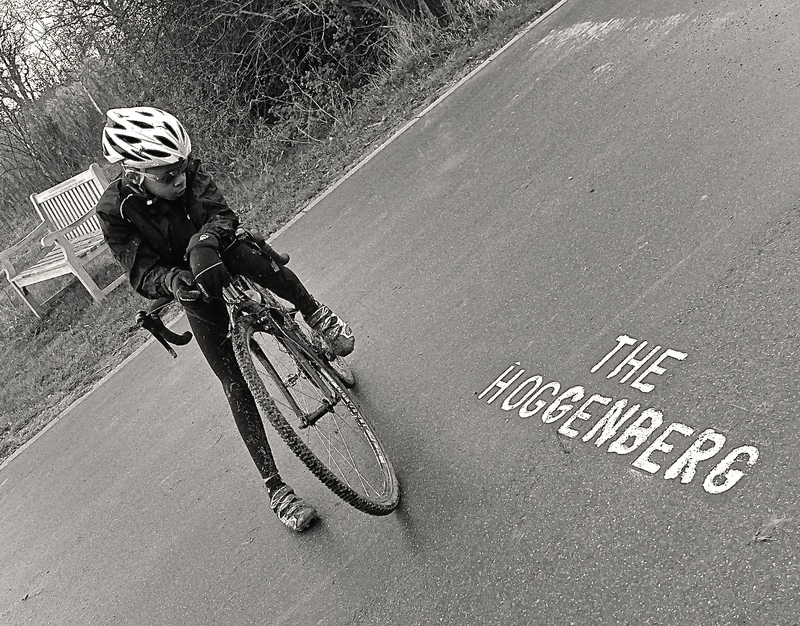 It was time again to head to The Hoggenberg aka Hog Hill for round 11 of the London X League and even though Caelan had only done a few bouts concentrating on the Eastern League he wanted a good showing. Things though were looking tough upon arrival as the top three placings at the recent Regionals missed due to illness were in attendance. 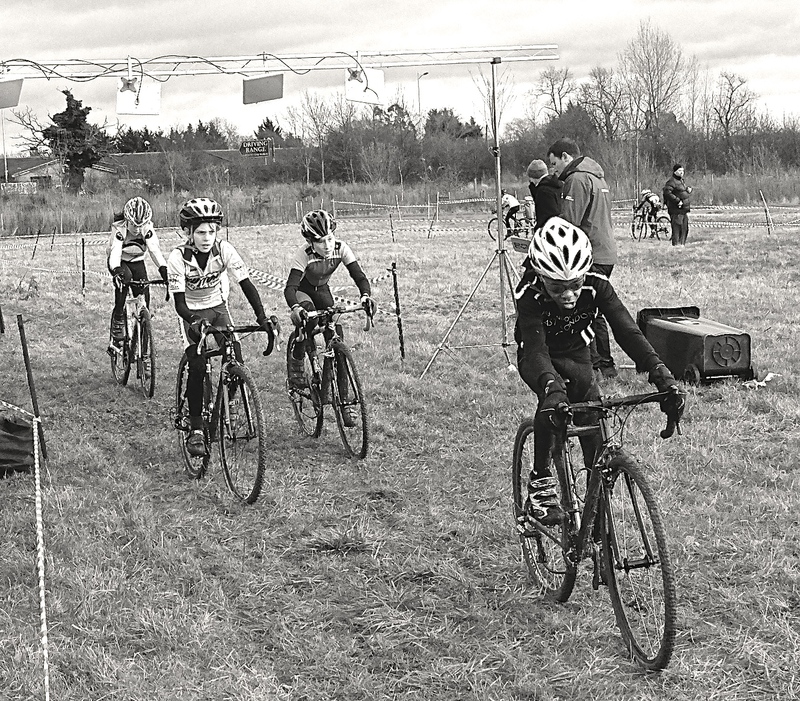 Also, for good measure both series leaders were on the line and this had the makings of a showdown for sure with Hog Hill being centrally placed to attract riders from both leagues, as against the recent Regionals held in Deal on the Kent coast. 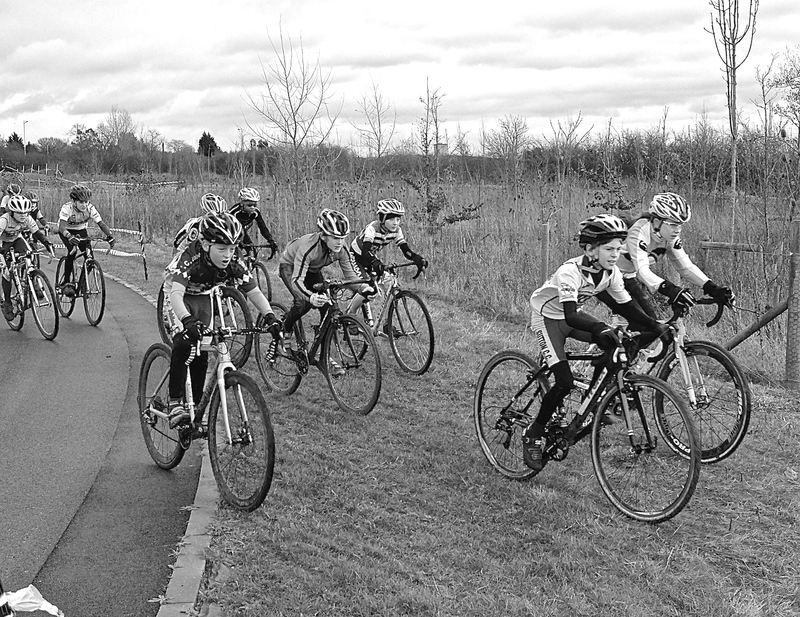 Yes, this was the un-official under 12’s championships as far as CJ was concerned with some of the best cross wheelslingers in attendance from the South & East of England. The riders warmed up and chatted cordially before the action but it was still tense, plus the course was going to be tough as it was already cutting up with a lack of technical sections for CJ to enjoy and make up time against the stronger 2nd year racers. Survival of the fittest was the order of the day sure nuff. From the drop along the road circuit section CJ made a bad start not really fighting for the front like his hero Wout van Aert, but instead dropping into about 8th place as Joe Kiely (Welwyn Wheelers CC) the Eastern series leader made his way to the front attacking from the get go and by half a lap pulling a gap that would again prove impossible bring back. 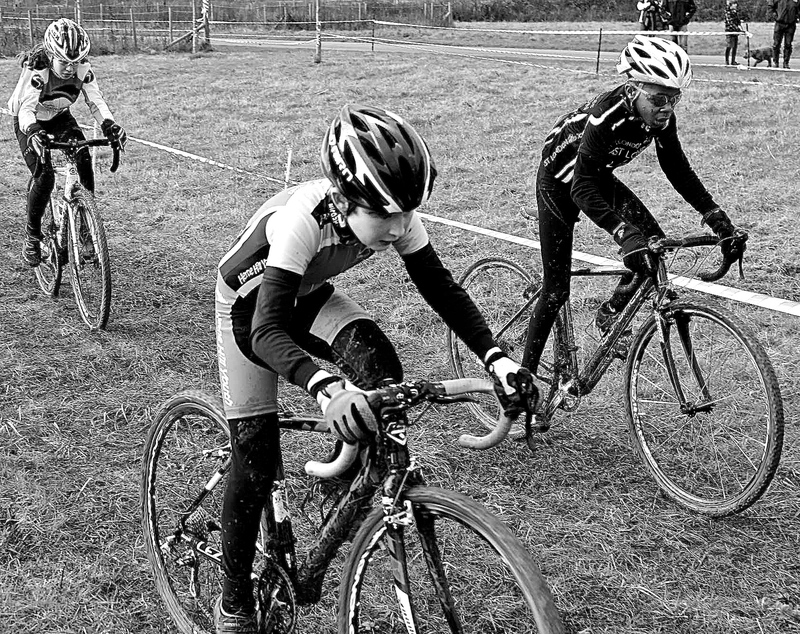 By lap two CJ was nestled in the second group happy to move at their pace and with both Isabella Escelara (Hillingdon Slipstreamers) and Joseph Blackmore (Herne Hill CC) the Central League series leaders for company, I wondered what his plan was until he upped the pace with a push as they crossed the line and only Blackmore could go with him. 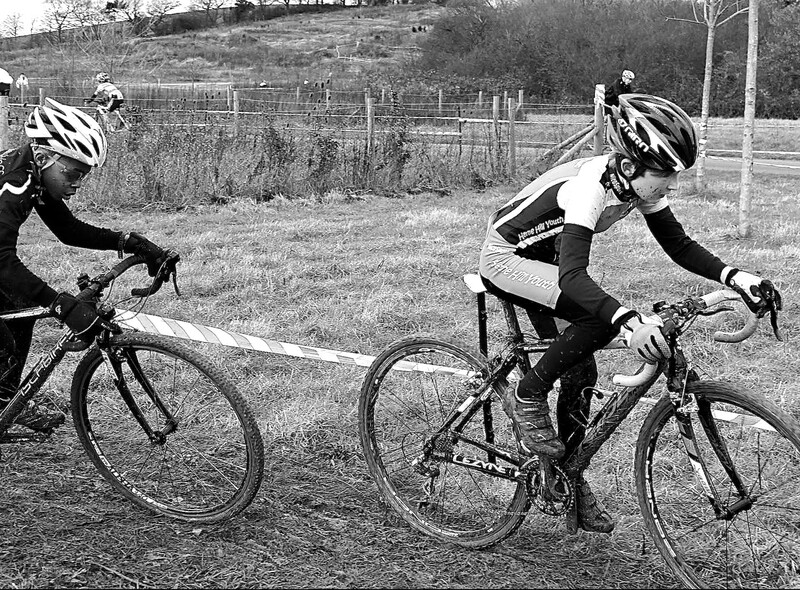 The end of the lap saw Blackmore who had beaten CJ at the Rapha SuperCross (and each time they had met in League races) make his attack. He pulled at least 15 metres before they hit the few technical turns but by the humped section CJ was back in contention where he remained only pulling a few turns on the front knowing it was not his race to lose. 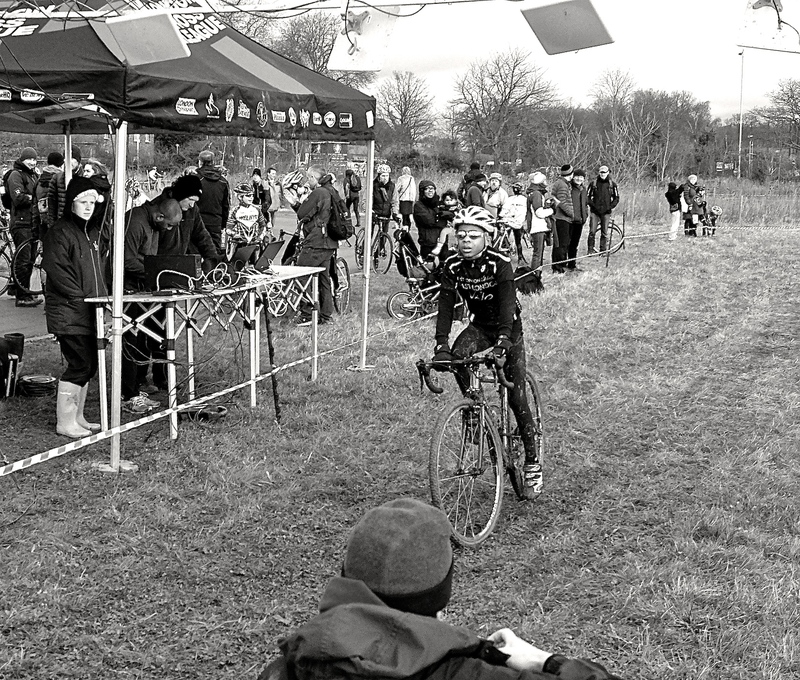 The bell hit for the last lap and both racers watched for any weakness and on the hill climb they both went wheel to wheel as Blackmore appeared to allow him to take the descent in the lead before they again hit the mud as CJ knew he was slower in that section. 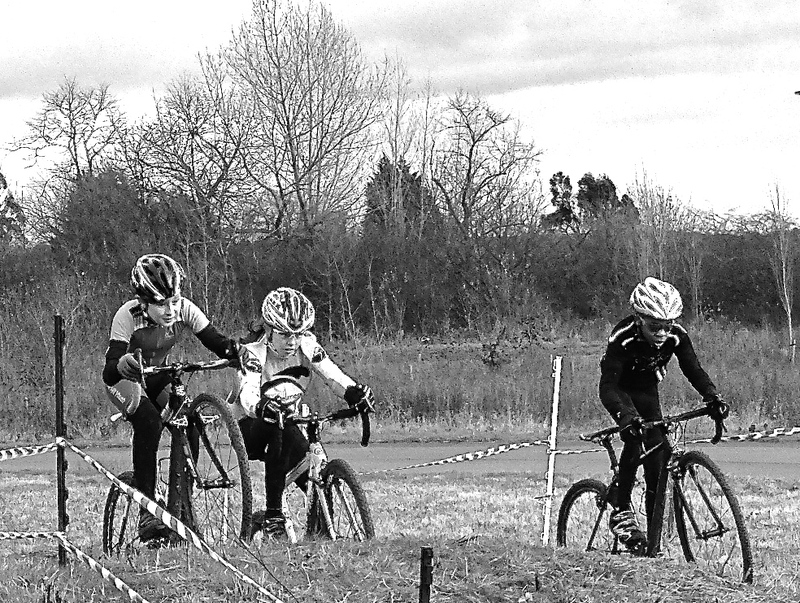 With less than half a lap and the technical sections remaining CJ pushed the pace hard making a break. 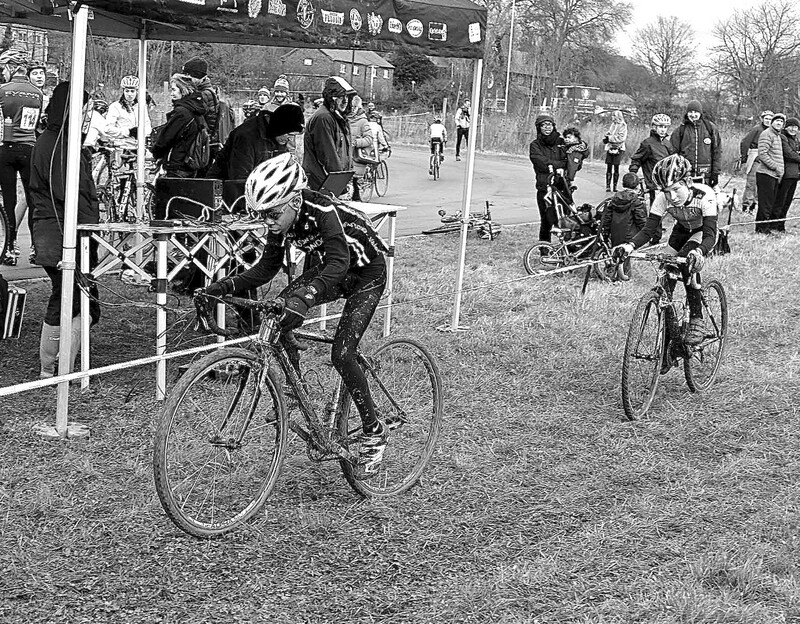 Soon enough during the turns CJ noted that Blackmore was no longer on his wheel and maintained the gap until he crossed the line for a hard earned 2nd place in a race he will not easily forget. Eventually the top three shook hands as it should be showing their increasing maturity and congratulations to the (un-official) Regional champion Joe Kiely.